But the eyes that remain go wild - Johan Cruyff has produced a revolutionary lineup. Eight new young players make their debut. Eight. And they tear Betis apart, in a performance that is still vivid in the memory of some Barcelona fans. That season - the 1995-96 season - saw a record 20 youth academy players trained with the first team. Ten of them made their first team debuts - La quinta del mini, they called it*. 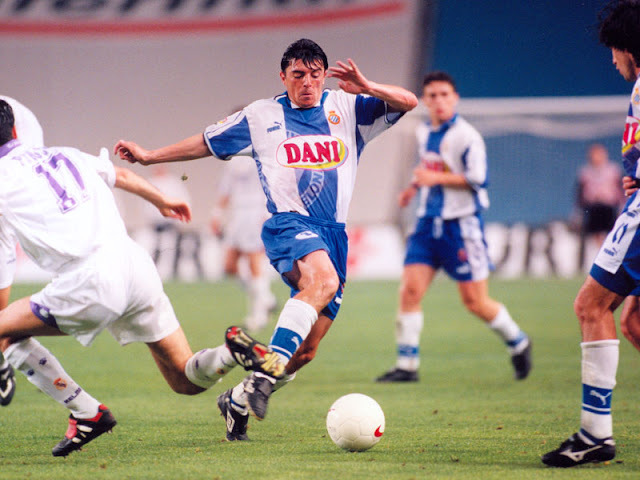 There are some who go further, who call the B team of 1994-95 the Lleva del Mini for obtaining a record 42 points (wins were two points then) and coming in sixth place. The 1995-96 season may have trophy-less and may have led to the unceremonious firing of Johan Cruyff. But that season preceded three seasons of trophies galore. And it officially embedded La Masia in the "Barcelona way". Luis Cembranos was a part of that lleva del Mini - scoring seven goals in eleven games, but left half-way through the season for rivals Espanyol. He was born in Switzerland but played for the Spanish national team. He was personally recommended by Johan Cruyff, but was then replaced by Johan for his son Jordi. He was a Barcelona youth graduate but could've just as easily been a Valladolid one - or even a Real Madrid one. Luis Cembranos was born in Lucerne, Switzerland, to Spanish immigrants in Switzerland, and returned to Spain in his teens. At the age of 17, he was playing for León-based team Puente Castro, which were making waves in the territorial league. He was thrown out of Madrid's facilities without explanation, and, being from León, was about to sign for Real Valladolid. A call from Barcelona changed all that, and meant that in 1990 he would be moving to Catalonia instead of staying in Castile and León. 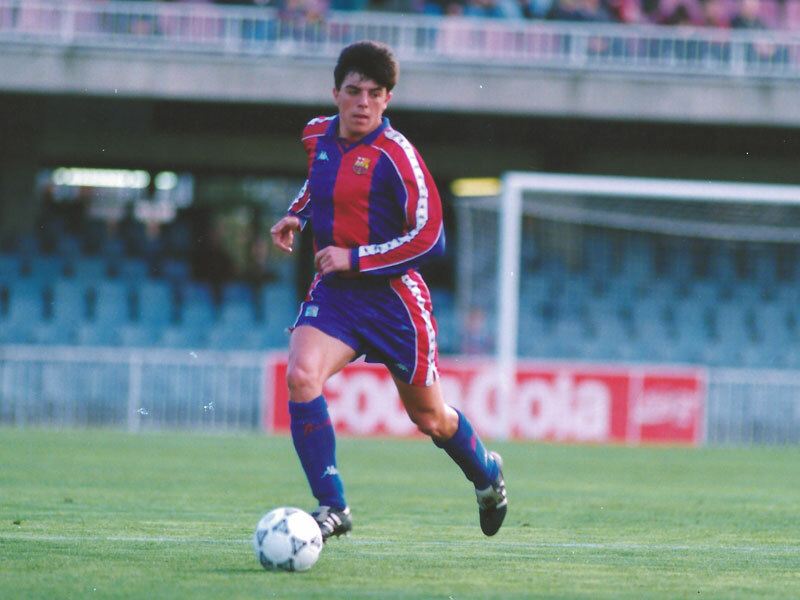 His impressive performances at Barcelona C earned him a loan move to Segunda club Figueres for the latter part of the 1992-93 - his first shot at professional football. And he took that shot superbly - something that was said six times in his ten games at the club. It was his performances for the B team the following two seasons that cemented his reputation. He could play anywhere - his energy was his biggest asset. And it prompted Johan Cruyff to give him a shot - he played three league games and the first half of a Champions League game at Old Trafford. However, Johan made it clear that Jordi would be the one to take up the right midfield, jack-of-all-trades role, and Luis Cembranos left in early 1995 for rivals Espanyol for 100 million pesetas - where he first began to appear regularly in the top level. 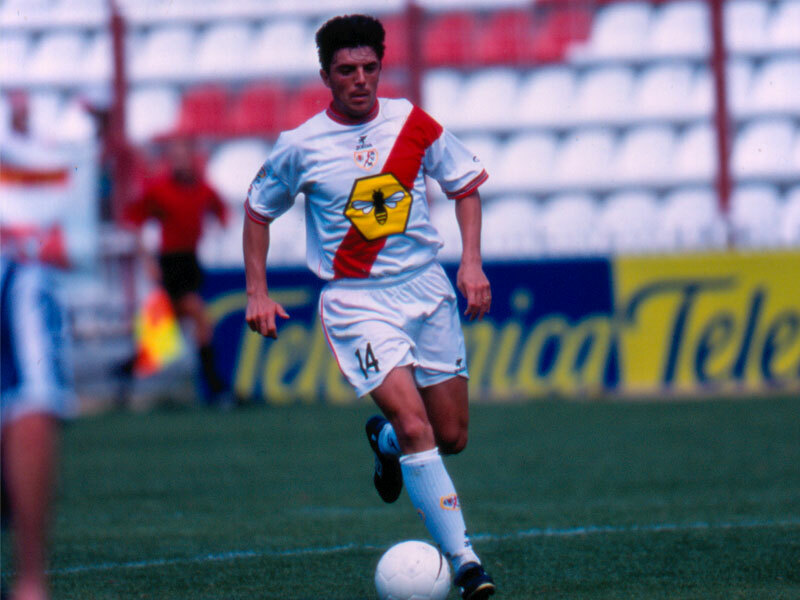 In another January transfer window move - January 1999, Cembranos joined Rayo Vallecano, being an essential member in his first months as they eventually returned to the top flight, scoring six goals. The following season, Luis embraced a super-sub role, scoring nine goals in less than 1300 minutes as the club qualified for the UEFA Cup for the first time ever. His performances earned him another accolade - he is the last Rayista to have played with the Spanish national team. He earned his sole cap with Spain in January 2000 when he came on as a substitute for Juan Carlos Valerón in the 76th minute of a 3-0 friendly win against Poland. Cembranos appeared very irregularly in his final three seasons, troubled with constant injuries that had already made him miss a good number of games at Barcelona and Espanyol, mainly in the right knee. He was forced to leave Rayo in 2004, and joined amateurs Promesas Ponferrada in November 2004 - officially retiring in 2005 at the age of 33. Since then, he has become a highly successful coach. His first steps as a coach were at Huracán Z in the Tercera from 2007 to 2009. Two years later he landed at Cultural Leonesa, who he managed to promote to the Segunda B (2012-13) and where he stayed until 2014. He later formed a partnership with Luis Milla, as he became Milla's assistant at Lugo and Zaragoza - both in the Segunda. This summer, in June 2017, he signed for Rayo B in the Segunda B. And this time, injuries won't stop him from success. *La quinta del mini consists of Celades, Roger, De la Peña, Javi García, Juan Carlos Moreno, Juanjo, Rufete, Setvalls, Toni Velamazán and Xavi Roca.